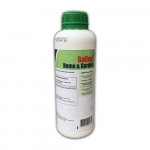 Gallup® Home & Garden is a foliar applied total herbicide for the control of annual and perennial grass and broad-leaved weeds. It can be used in all Garden & Amenity situations for weed control. Gallup® Home & Garden is one of the few professional strength formulations of glyphosate available for non-professional users.